Glory be to the Father, Who by His almighty power and love created me, making me in the image and likeness of God. Glory be to the Son, Who by His Precious Blood delivered me from hell, and opened for me the gates of heaven. Glory be to the Holy Spirit, Who has sanctified me in the sacrament of Baptism, and continues to sanctify me by the graces I receive daily from His bounty. 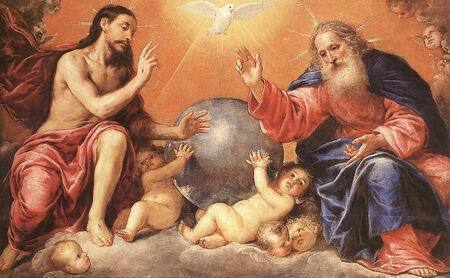 Glory be to the Three adorable Persons of the Holy Trinity, now and forever. Amen.